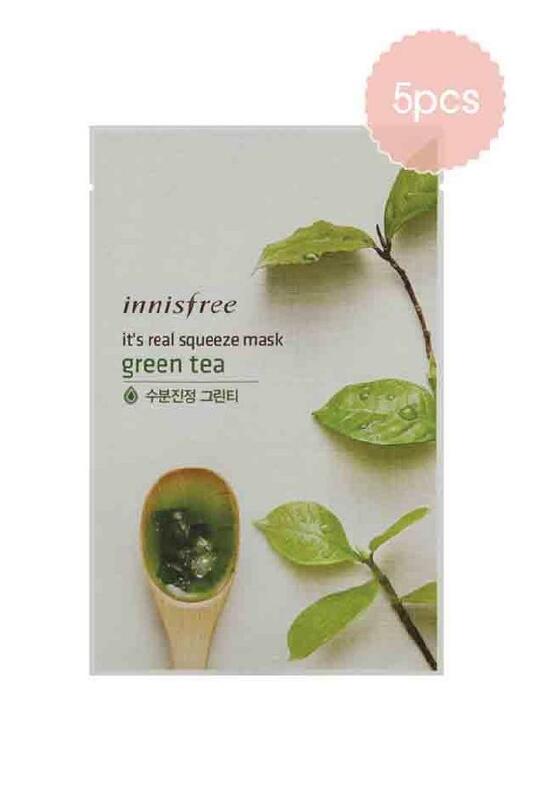 It's Real Squeeze Mask_Green tea is a mask containing fresh green tea extracts to provide a deep hydration treatment for the skin! - Apply mask sheet to cleansed face and leave on for 10~20 minutes. - Remove mask and massage remaining solution into skin with hands.